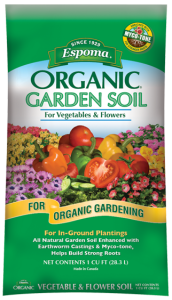 Rose-tone is a premium organic fertilizer designed to supply the necessary nutrients for growing prize winning roses. The organics in Rose-tone break down gradually providing a long lasting nutrient reservoir activated throughout the growing season. Rose-tone’s all natural formula contains Bio-tone®, our proprietary blend of beneficial microbes. Bio-tone biologically enhances our natural organic fertilizer to ensure superior plant growth. Provides a long-lasting reservoir of nutrients. The natural way to prize winning blooms. Dig a hole about 12” across and 18” deep. Add peat moss and 3 cups of Rose-tone to the soil removed and mix thoroughly. Use this mixture to partially refill hole. Make a cone of soil to place plant on. Spread roots evenly. Planting depth should be such that the graft knuckle is just below ground level. Add 4 – 5 inches of soil and firm around roots. Fill hole to within 2 to 3 inches of top, fill with water and let it soak in. Finish filling hole. Some pre-packaged roses should be planted in their original container. Follow instructions on container to determine if the plant should be removed or planted with the container. Follow directions for “Bare Root Plants” for general planting procedures and hole size. Instead of making a cone to place the roots on, fill the hole with enough soil so that when the container is placed in it its soil level is the same as the surrounding area. Place plant in hole and refill as outlined above. Individual Plants: Apply 1-1/4 cup around each plant and scratch into the top inch of soil. Rose Beds: Spread 6 lbs. per 100 square feet of bed area and scratch into the top inch of soil. Tip: Keep plants mulched and watered. Slow release formula provides a long lasting nutrient reservoir that lasts throughout the entire season. All natural and organic, helps loosen heavy soil, easy to use.